Posted by Sam Smith on Wednesday, May 9th, 2012 at 10:40am. Looking for a home in the Corona Del Mar area of Newport Beach can be difficult especially if you have a budget under $800,000. Currently, there are four available properties for sale in this price range with no single family homes currently on the market. The condos area located in the Sandcastle and Canyon Cove Condo building. 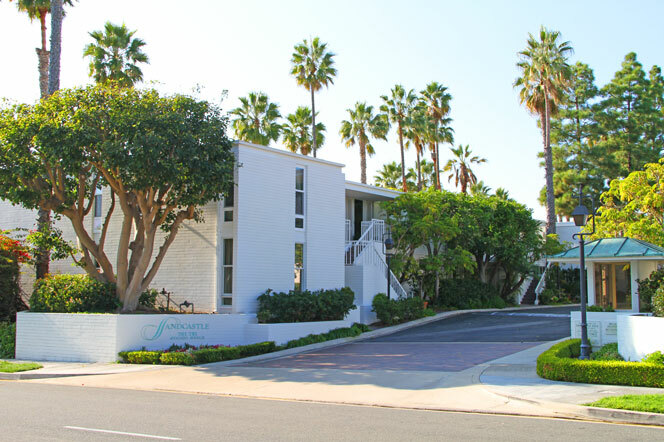 The Sandcastle is a smaller condo complex in Corona Del Mar with 46 condo units. Condos rarely come on the market here and when they do they typically sell very quickly. We did a quick search for sales in this complex and found a recent sale for $535,000 that features a two bedroom, one bath condo that was just over 900 square feet. This may be a tough comparison if you are moving here from out of state but if you want to live in Corona Del Mar this is what $500,000 will buy. Currently, there is one condo for sale in Sandcastle for $578,000 and came on the market 8 days ago. We recommend acting quickly as condos in this price point sell quickly by the beach and especially in Corona Del Mar. The Canyon Cove condo building is another place to find a property under $800,000. The Spanish style building is located on the south side of Corona Del Mar on Pacific Coast Highway. We found one condo listed for $659,000 that features 3 bedrooms and 3 baths with just over 1,200 square feet of living space. The sale could include with some of the furnishes so make sure to consult with your local realtor when viewing this condo. As we enter in the summer months we expect more properties to come on the market. Our current low inventory has caused many home buyers to sit on the fence and wait for the perfect property at the right price to come on the market. We recommend using our saved search feature on our website to automatically notify you when new properties come on the market with your specific criteria. If you are serious about buying a home this is the best way to find the great deals that do come on the market. Also, keep you eye open for new short sale listings as they can provide excellent opportunities.